Is English necessary for today’s Japanese workers? What do you think of this policy? I find it very disturbing. It is one thing to chose to learn a language because you think it will help your career or because you just want to. Compulsion is another matter. Global Voices Online is an international network of bloggers and "citizen journalists" that translates and reports on blogs around the world. Do you follow any blogs in your native language? What are they about? 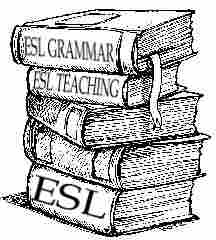 Do you follow any English language blogs? Another of its projects, Global Voices Advocacy, reports on and campaigns against internet censorship around the world. I think that forcing or requiring speakers to use a particular language is another kind of censorship. What do you think? What experience have you had with censorship? "Globish" is another term for global English. In a more benign way, its rise is related to the story I opened with. Here's a story about it on NPR that you can also listen to: "Lingua Globa: How English Became 'Globish'"